Running a small business can be stressful and leaves little time for learning new marketing strategies to boost sales in an ever evolving marketplace. With the tremendous influence of social media it is now more important than ever to effectively market your product and brand and leave your competitors behind. Social media management tools have become just as important as lead-generating sales tools. This article lists the top 6 tools that you can use to effectively and efficiently grow your small business’s online social presence. All of the following services are either free or offer 100% free plans. Buffer makes it easy to post your social-media content across multiple platforms and accounts (Twitter, Facebook, LinkedIn, Google+ & Pinterest). You can create a schedule that Buffer will follow to automatically post your content to your desired accounts. Take 20 minutes once a week to schedule your social posts for your entire week. You can even manage your Buffer tasks on the go with their iPhone and Android apps. 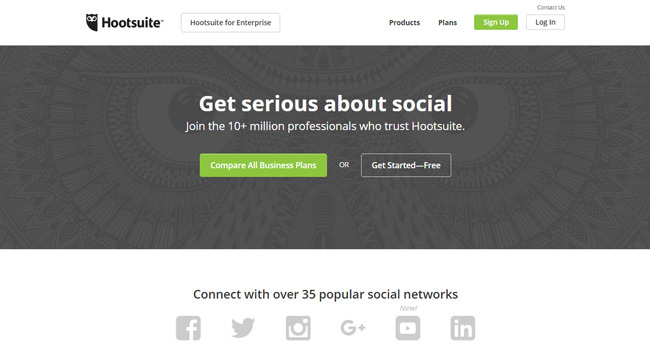 Hootsuite is similar to Buffer in that you can schedule your social network posts and messages. It really shines when it comes to measuring campaign results and engaging in conversations with your followers on various social networks. While Buffer and Hootsuite are similar, they can be used in conjunction with one another – Buffer for scheduling and sharing posts and Hootsuite for engaging with your followers. Hootsuite also offers analytic features so you can measure which of your posts and/or campaigns are performing well and which ones aren’t. 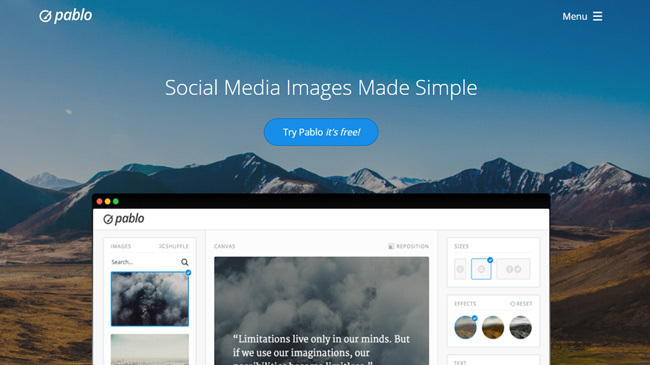 Pablo is an image creation tool first launched by Buffer in 2015 and has since been completely overhauled. Consumers are bombarded everyday with posts on social networks which means your posts need to stand out from the crowd and grab the users’ attention. This can easily and quickly be done by including an image in your posts on Facebook, Twitter and LinkedIn among other platforms. The pictures, however, need to draw the viewer’s eye while also relating to your post. With Pablo, you can quickly search for an image related to your post and then add stylized text to the image to make it somewhat informational. You can also upload your images, logos, and export the images to the correct sizes for sharing on Facebook, Twitter, Instagram and Pinterest. 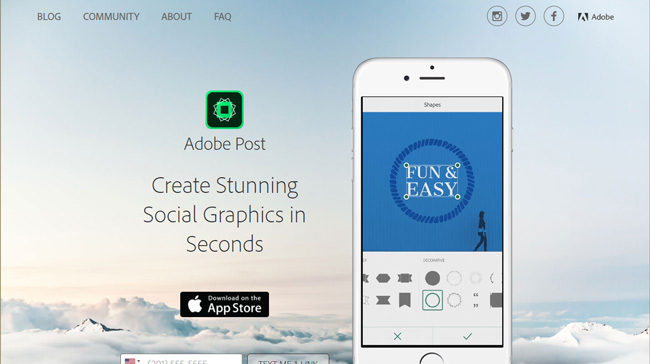 Similar to Pablo, Adobe Post is used for the same purposes, however it is only available as an app for Apple mobile devices. With that said, it actually provides more functionality, more customization options, and a wider array of available images to choose from. Both Pablo and Adobe Post can be great for creating images for your website’s blog in addition to social networks. When it comes to using social networks to promote your business, it should never be all about you (at least when you’re just starting out). People will be more likely to invest in you if they see you investing in others. This can be done by sharing other people’s content that is relevant to your business. 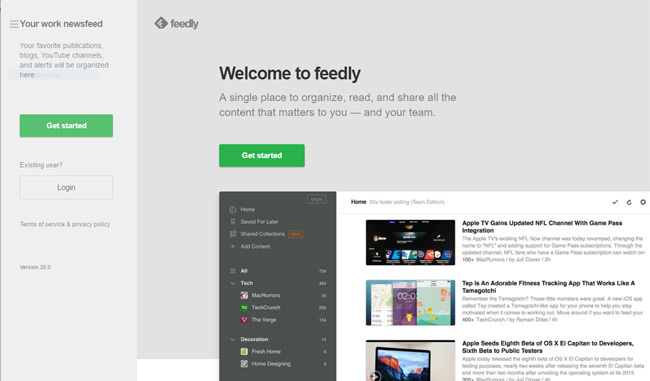 Feedly is a content curation tool similar to now outdated RSS readers. It can be used to help gauge what others in your industry are interested in and to identify industry trends. Feedly also integrates with Buffer, making it easy to share other’s articles/content on your social networks. Possibly the most versatile service available, IFTTT (If This Then That) is a powerful internet automation tool that can save you incredible amounts of time managing your social media campaigns as well as other time consuming tasks. You tell IFTTT that if one event occurs it should perform a specific action. For example, any time you publish a blog article you can set it to send a tweet or post on your Facebook page. Or you can get an email notification when your biggest competitor puts out a new press release. IFTTT has hundreds of integrations leaving its possibilities virtually endless. Best of all, it works great with Buffer and Hootsuite, further maximizing these tools potential. The market is saturated with apps and tools to help you manage and expedite your social media management processes. 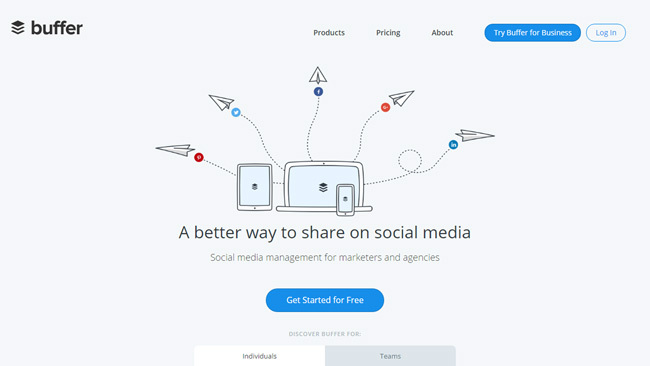 These 6 social media management tools offer a wide range of capabilities and are all relatively affordable (if not free). All of these tools can be utilized by everyone from a growing startup to an established company. Also be sure to take a look at our FREE webinar: How To Boost Website Traffic With Awesome Content. We discuss several strategies that can be used to increase traffic to your website by producing shareable content and utilizing social media platforms. We finished off the webinar with a live Q&A session where we opened the floor to viewers who called in with their marketing-related questions.